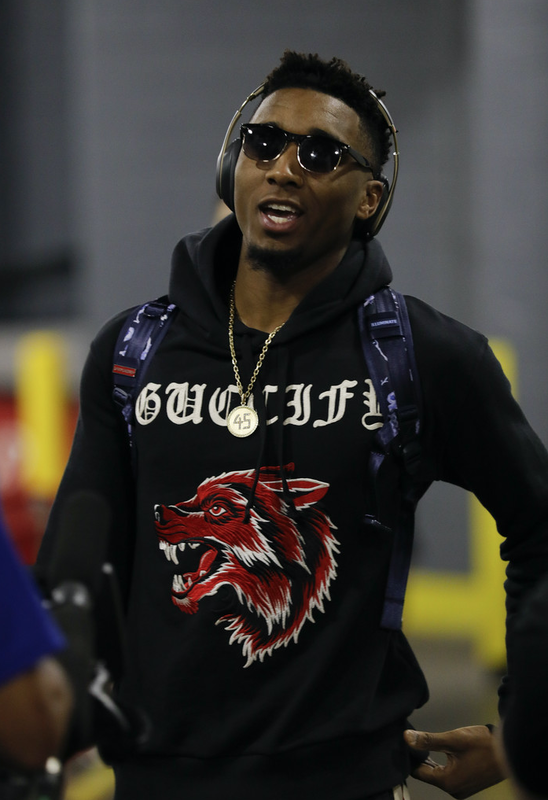 Before the Houston Rockets gave his team the playoff exit, Donovan Mitchell pregamed in Guccify embroidered hoodie at the Houston Toyota Center on Game Five of the Western Conference Semifinals. 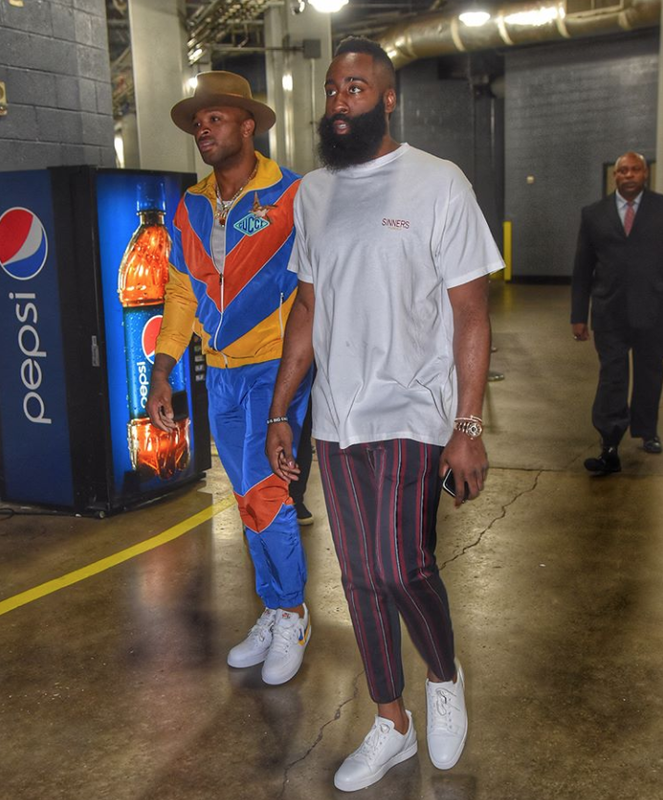 The incredibly handsome duo, P. J. Tucker and James Harden, are by far the NBA's it guys for style. 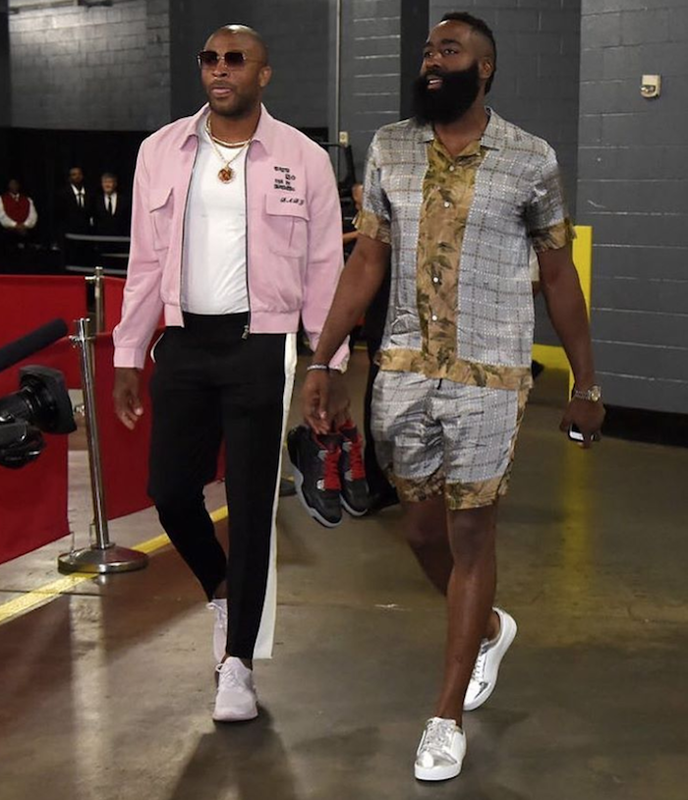 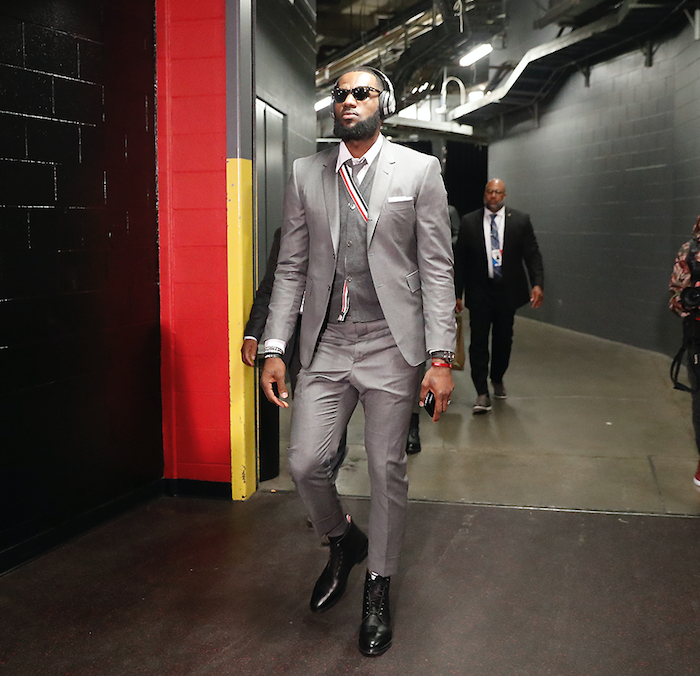 With Tucker in head toe luxe label Gucci, and Harden in Balenciaga, these two turn heads on and off the court during the NBA Playoffs series Houston Rockets versus Utah Jazz. 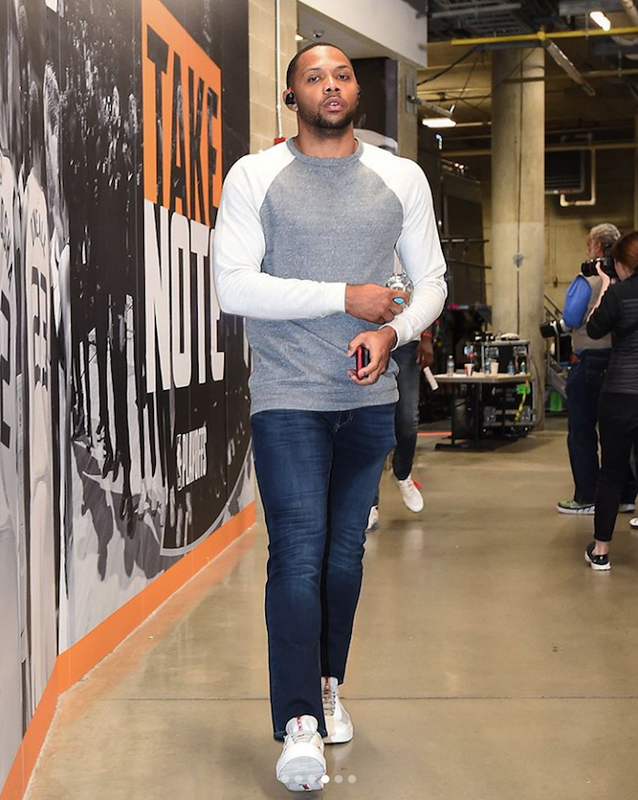 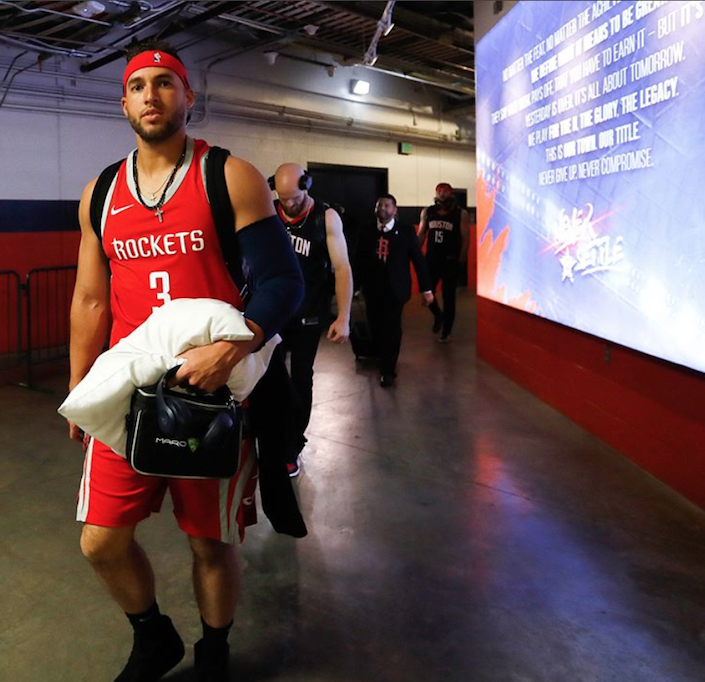 Eric Gordon pregames in Prada leather and mesh sneakers before Houston Rockets and Utah Jazz NBA Playoffs game 4 on Sunday night. 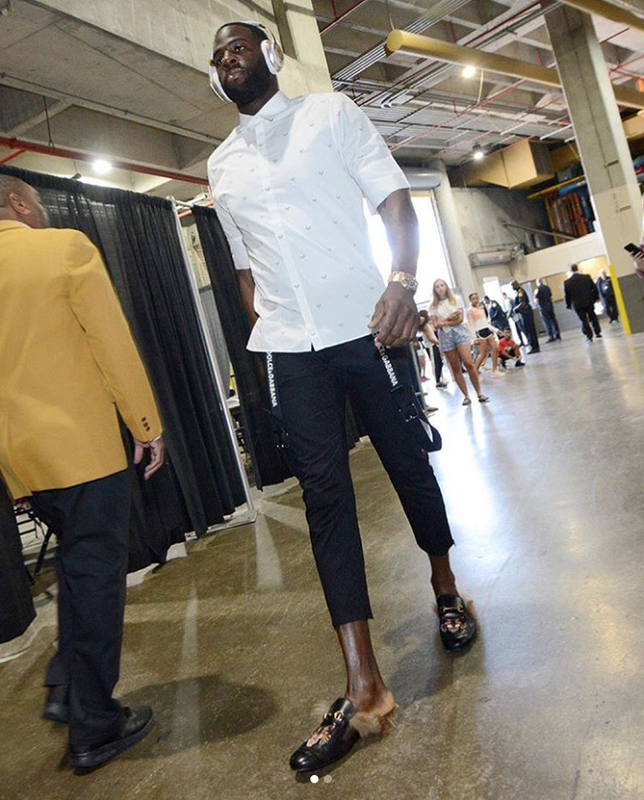 Cruising into the Golden State Warriors and New Orleans Pelicans game, Draymond Green proves that Gucci slippers are the most comfortable leisure shoe since its debut in Fall 2015. 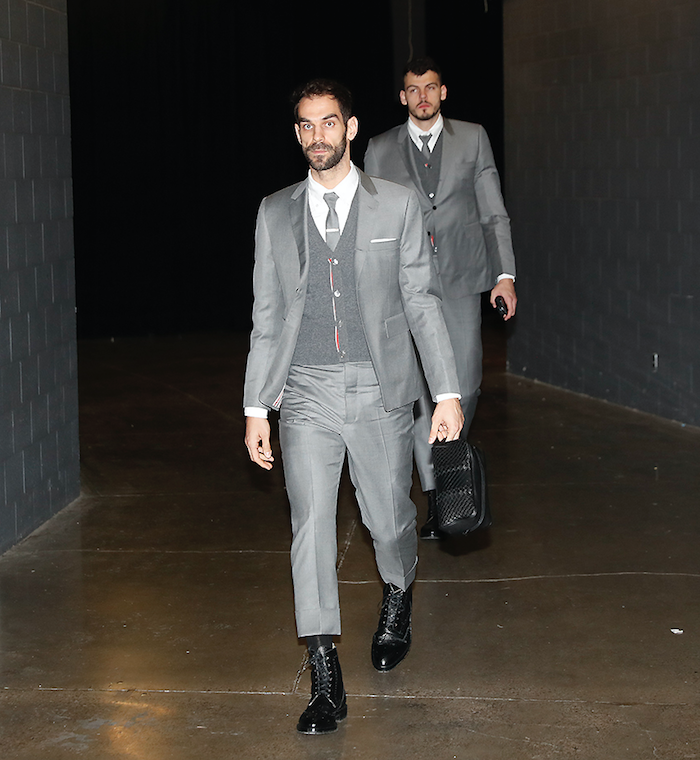 Showcasing Green's slippers are his Dolce & Gabbana trousers. 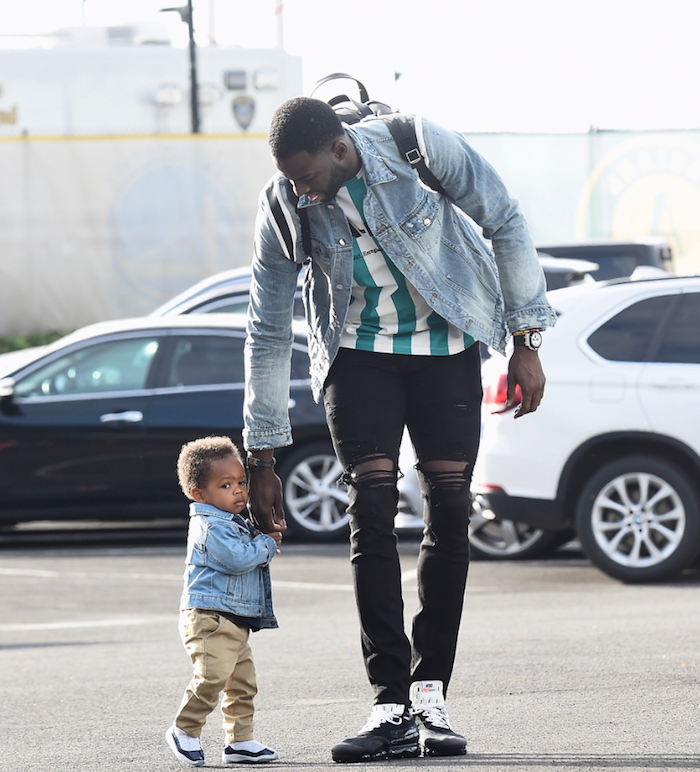 With his mini me in tow, Draymond Green pregames in denim. 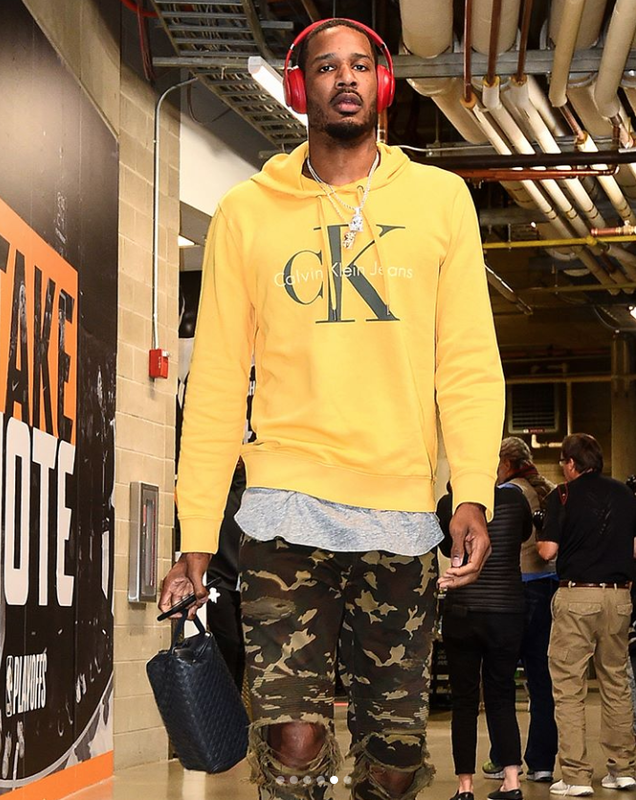 Because everything is cuter in miniature version, baby Green wins the style game at the playoffs. 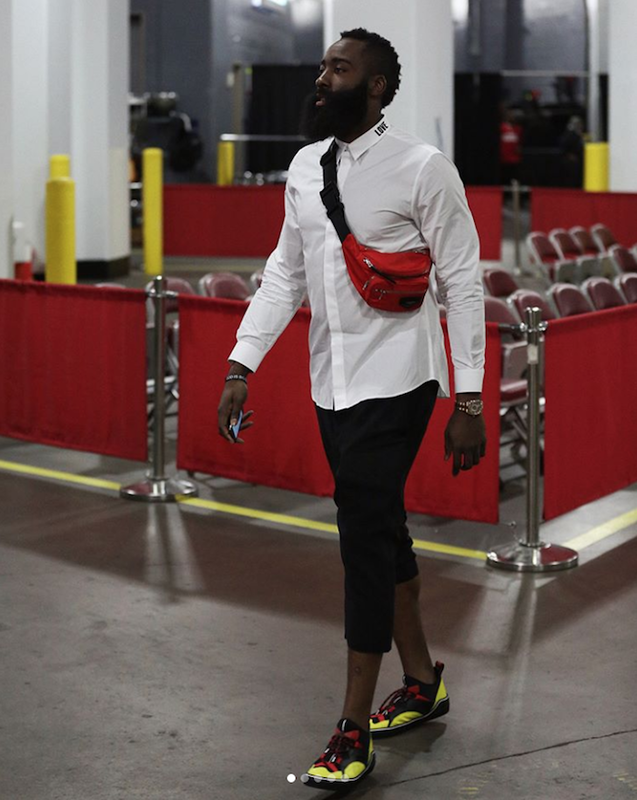 I love James Harden as much as he loves wearing Givenchy. 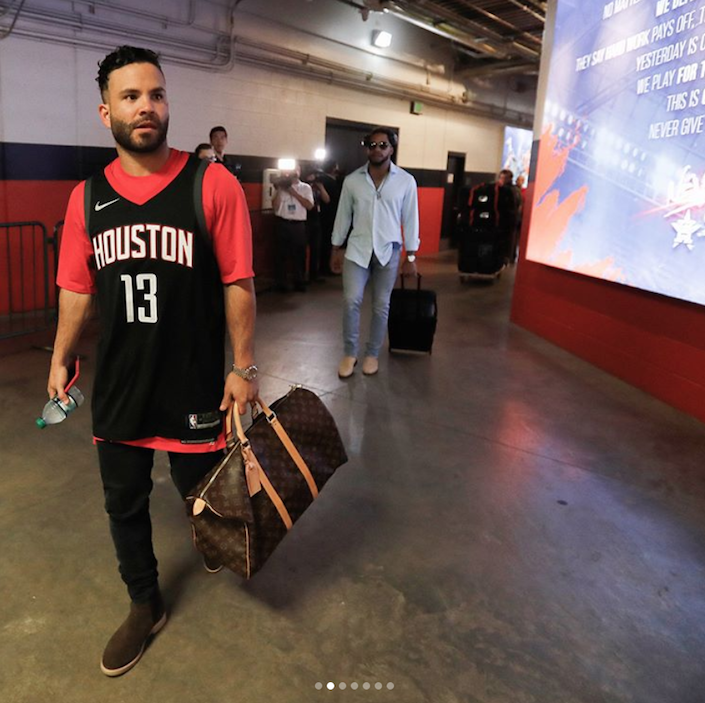 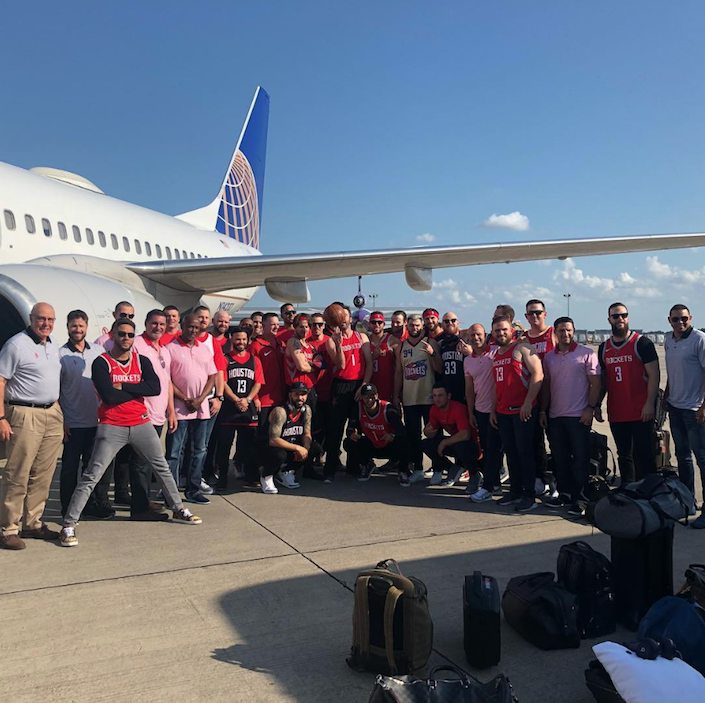 The Houston Rockets star pregames in Givenchy Love Soul shirt before moving on to round two of Playoffs on Wednesday night at Toyota Center. 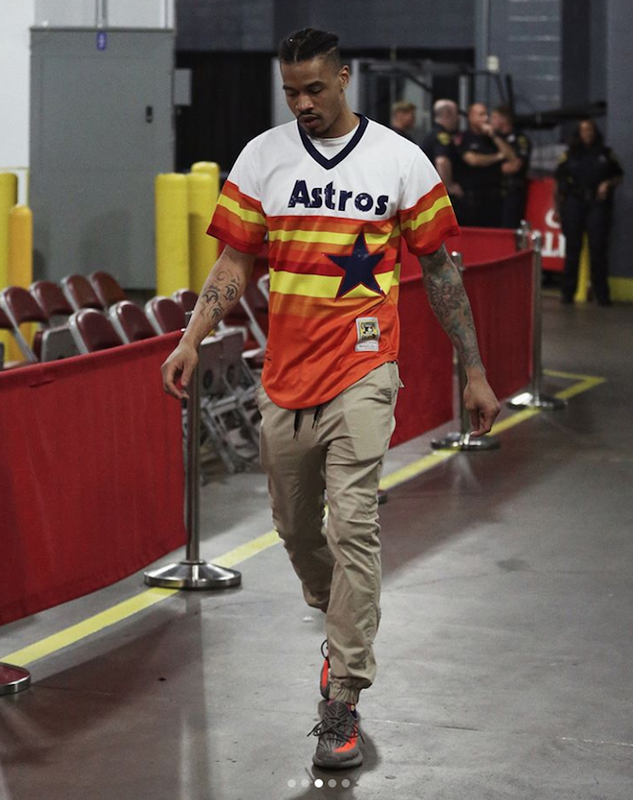 I thought Gerald Green's hair was game, but then I see his throwback jersey collection...boy has it down. 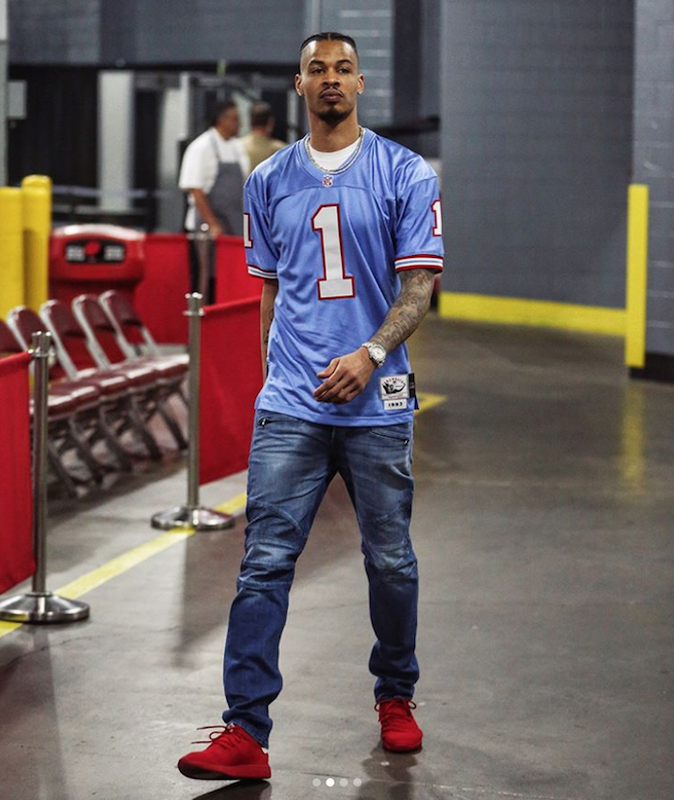 Green, the Houston Rocket's shooting guard, pregames in a Houston Oiler's jersey.